Eight Ways To Gamify Your App. 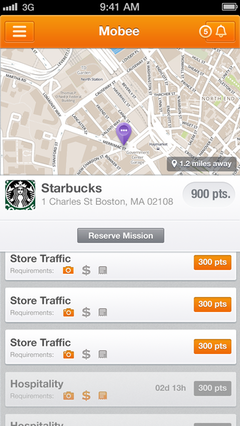 Gamification is one of the most buzzed-about concepts in the app world. Clients are constantly asking us to “gamify” their products. And it’s not just startups, either. A Gartner study predicts that by 2015, more than 70% of the world’s biggest companies will have gamified apps. For those who don’t know, gamification refers to adding game elements — points, badges, milestones, to name a few — to non-game applications. If you’ve used the internet to do just about anything in the past year, you’ve no doubt encountered it. Now, I’m no fan of the Pimp My Ride approach to development — that is, adding features for the sake of adding features. I’ve written about the dangers of going down that road, and urge you to think hard about your goals before deciding to test gamification in your app. But for many products, game elements can boost user acquisition, engagement and spending. We’ve found this to be true with apps we’ve built in a variety of industries. If you’re looking to gamify your app, but don’t know where to start, here’s a list of eight ideas that winning companies — startups and established players alike — use. Do you find abandonment to be high immediately after signup, or after only a few logins? You’re not alone. On average, mobile apps keep less than 40% of their users beyond the first month. 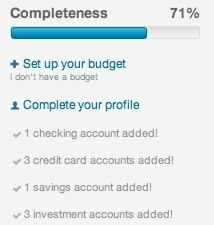 If you suspect that a process that engages the user to complete their profile would reduce that churn, try using a progress bar to make goals clear and easily trackable. Gamifying first-time interactions with your app’s features could be a good solution if you’re looking to increase users’ engagement or build traction for new features. From a psychological standpoint, it can also deepen a user’s commitment, as they invest more time and cognitive energy into your app. If the amount of time a user spends in your app is a success metric for you, consider time-based rewards. Viggle, a TV loyalty app, needs its users to spend as much time as possible in the app while their TV is on, so they award points by the minute. If the tasks your app relies on users to complete require significant work, rewarding them for their effort can make it a lot more fun. This was the challenge we faced with Mobee, an app that pairs secret shoppers with retailers. By gamifying the act of becoming a secret shopper (completing “missions”), the app doesn’t just make users agree to do work. It makes them happy to do it. A good option for companies that want their mobile users to also engage in a web app, or vice versa. This can be a very effective way to promote a new mobile app if you have a web-based offering with an existing user base. Starwood Preferred Guest, the company behind brands like Sheraton, W Hotels and St. Regis, offers 500 loyalty points for booking a hotel through their mobile app. Do you need your users to be buyers? Whether you want them to upgrade to a paid version of your product or make in-app purchases, try giving them an incentive to do so that goes beyond the actual goods being exchanged. 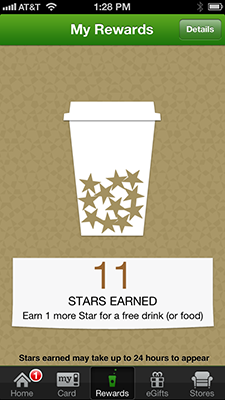 Starbucks gamifies purchases both in-app and in-person if you join their loyalty program, but the execution of rewards in their mobile app is especially good, always encouraging the user to get one purchase closer to that free drink. Referrals are one of the best ways to acquire users. Referred users have a positive experience from the get-go, having been sent by someone they trust. 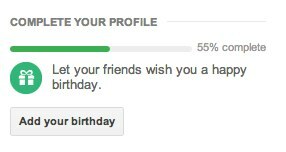 Incentivizing your users to share your app with others can go a long way to getting high-quality new users. When Dropbox started giving free space for referrals (to both referrers and referees), their signups went up by 60%! If you want to drive up the engagement or performance of your user base as a whole, pitting them against each other can turbocharge that process for you. While a particular user may not care about their point total in a vacuum, give them a chance to compete with others for a spot on the leaderboard and you may be surprised by how they respond. Yammer, the enterprise social networking platform, rewards users for being active on the network in a number of ways, including a leaderboard that ranks the most influential employees in an organization. Jockeying for spots on that leaderboard results in a far more engaged membership and a better experience for the majority of users.